My sermon from the 18th Sunday after Pentecost (October 8, 2017) on Matthew 21:33-46. Listen to the recording at the bottom of the page or read my manuscript below. Note: the manuscript isn’t perfect. It could have used another going through. Growing up, I had a friend who bragged that his dad was the very first person in Colorado to buy a red minivan. This “state changing” event took place in the late 80s and was as a point of personal pride for my friend. Before this, roadways in Colorado were blah – filled with tan, beige, and dull people movers. But once his dad made the bold and visionary choice to buy a bright red Dodge Caravan, the streets of Colorado were never the same. Now, if I’m honest, I never really believed my friend. His dad was a nice guy but he was never a trend setter. I couldn’t see him somehow convincing the entire mini-van buying population of Colorado to change. Instead, I thought my friend never saw the red minivans on the road before because until his dad bought one, he didn’t have to. Minivans are usually boring vehicles to look at. They’re not designed to be seen or paid attention to. 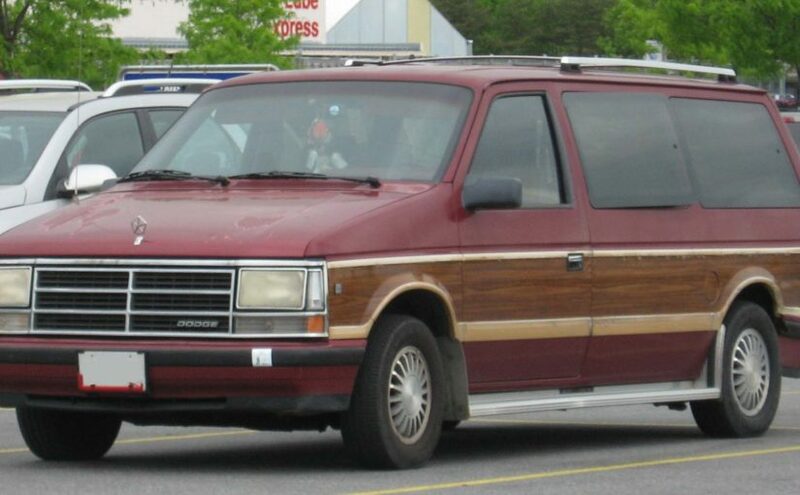 But once a red minivan was sitting in my friend’s driveway, once he had to ride in one to and from school everyday, his eyes were finally opened and he saw the red minivan truth that was all around him. He thought the world had suddenly changed once his dad bought a red minivan but it hadn’t. My friend just had no reason to see any red minivans until his dad came home with one. This phenomenon of not noticing what’s really around you until it becomes personal is something that’s been in the back of my head these last few days. I think this phenomenon shows up regularly when we read and hear scripture. We can read the same text from the Bible over and over again but then something changes and we see something we haven’t seen before. We might hear the words spoken by a different voice, experience them in a new place, or just be at a point in our life when these words impact us in a very different way. And sometimes, there are events, events outside our control that just seem to keep happening. And then the words we hear on Sunday take on a new meaning. For me, in light of last Sunday’s mass shooting in Las Vegas, I wish we didn’t have these scripture passages today. I wish the passage from Isaiah didn’t say bloodshed. I wish the parable Jesus shared in Matthew didn’t talk about people being violently killed. And I wish Jesus didn’t describe himself as a cornerstone that somehow bashes and breaks the people it encounters. Couldn’t this be a Sunday where Jesus welcomed little children? Couldn’t it be a Sunday where Jesus healed someone? If I picked the Bible passages for each Sunday, something more…comforting…would be on our agenda today. But today’s readings were assigned by our lectionary, a three year cycle of texts a team of scholars from many different Christian traditions put together years ago. When they crafted this cycle, they didn’t know Las Vegas would happen. They didn’t know that another record breaking hurricane would be hitting the gulf or that 88% of Puerto Rico would still be out of power after hurricane Maria hit 18 days ago. They didn’t know that the threat of war might be keeping us up at night. They didn’t know about the countless things dominating our news cycle right now. And those crafters of the lectionary also didn’t know what our personal lives would be like, right now. They didn’t know about the fears or anxieties or worries we brought with us into church today. They didn’t know about our broken hearts, our financial concerns, or the hard choices we’re being asked to make. Those scholars didn’t know the personal prayers we repeat every night, those secrets that we hold and wished we could share, and the tears we shed for our loved ones who seem to find a new rock bottom everyday. Now I believe that the lectionary was inspired by the Holy Spirit. I believe God was personally involved in making sure we hear the words God knows we need. But that’s also a bit of a problem because we, sadly, aren’t God. As much as we would like to tell God how we want God to make us feel, God wants more than being reduced to some kind of feel-good magician in our lives. God wants us to know honest-to-goodness love. God wants us to experience true mercy. God wants us to expect unbelievable hope. And God wants us to live, right now, knowing that God made a bold choice by saying “you are worth living and dying for.” That kind of life isn’t going to always feel good or comfortable because that kind of life requires us to see the world as it truly is. We can’t act as if our personal perspectives and our personal experiences are the one true reality. We live in the world God made and tends. We are not the center of the world. The words Jesus shares with us are not always peaceful because we are not as peaceful as God made us to be. Jesus talked about violent tenants, killings, and other acts of violence because these are images and experiences we are all familiar with. We might never personally experience a mass shooting but if we can hear about it, imagine it, and feel that kind of terror in our souls, then we are never as distant from the kind of violence as we might like to imagine ourselves to be. We can’t just shrug our shoulders and pretend that this is normal, that this is just the way things are meant to be, and that there is nothing we can do change it. That way of thinking assumes that violence is part of what God’s reality is all about. But when we see Jesus, and pay attention to his story, that thought is re-written. When Jesus was arrested and threatened by clubs and swords, he did not lash out. When he was tortured, interrogated, and sentenced to the most violent and shameful death known in the ancient Roman world, he called for no army from above to save him. And when the same crowd that inspired fear in the Pharisees and sadducees today demanded Jesus crucifixion just a few days later, Jesus prayed for those who killed him. And then when he rose on that first Easter morning, he sent his followers to preach, teach, serve, and heal. The violence we inflict on each other is not part of God’s normal. It’s not part of the kingdom of God that Jesus talked constantly about. When violence happens, we mourn, we shed tears, we cry out, we protect each other, and we ask why. And then we move forward, living into a reality where the pain we inflict on each other is not treated like it’s some kind of natural disaster, some kind of act of God that we are helpless to do something against. Instead we notice the true acts of God, the acts of Jesus himself, who did not let our violence win and who promised that no matter what may come, the violence in this world will never overwhelm the eternal love, mercy, and grace God gives to you. Because you are still worth living, dying, and rising for. You are worth living in God’s eternal reality where violence is no more. And since you are worth all of that, we are invited to see experience a foretaste of that reality right now.